Kids rule during Kids Free San Diego month! The Kidvasion has begun! The 3rd annual Kids Free San Diego month kicks off today and continues through Halloween. Kids are sure to get a kick out of being VIPs (or should we say, VIKs – Very Important Kids 😉 ) all month long. 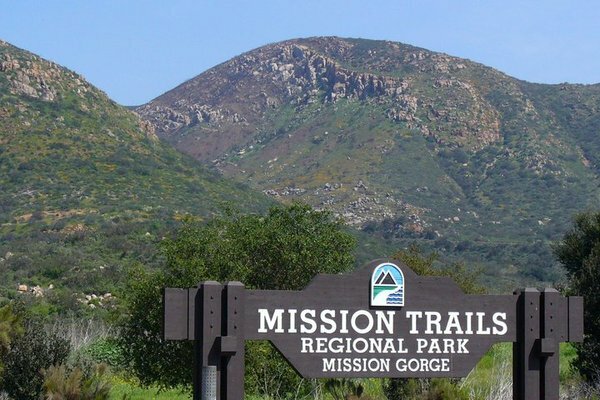 As you and your family are in town exploring the sights or planning a fun-filled fall visit to San Diego, be sure to check out these kids free deals in Mission Valley, conveniently located in the middle of it all just minutes from many major attractions. 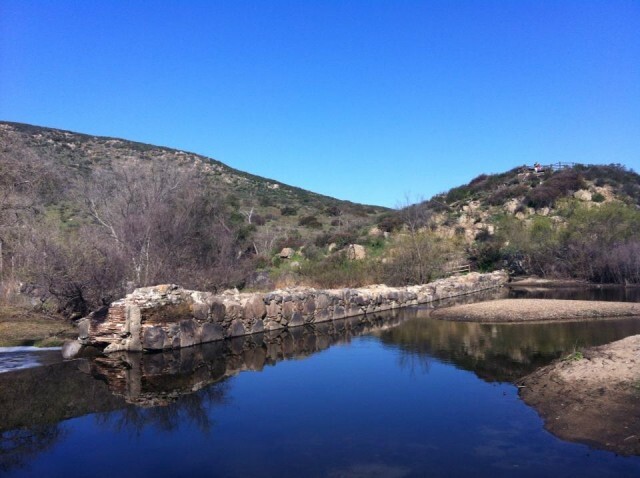 Mission Trails Regional Park, one of the nation’s largest urban natural parks, is free for the whole family to explore, bike and hike 42 miles of scenic trails, including paths to the historic Old Mission Dam/San Diego River and to the top of Cowles Mountain, famous for its spectacular 360-degre views. The interactive Visitor Center is cool too, as are free guided nature walks every Wednesday, Saturday and Sunday at 9:30 AM. 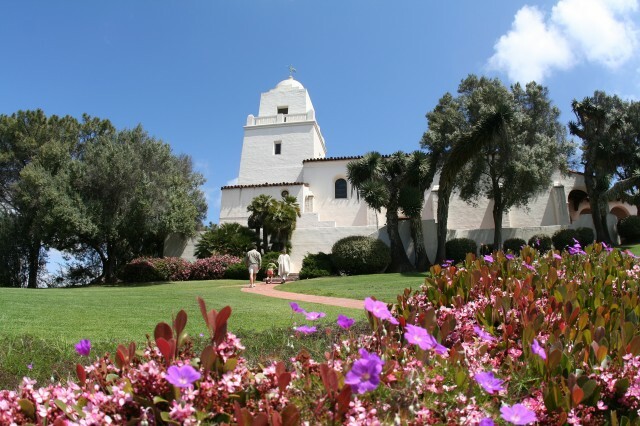 Take a trip back to the time of the Spanish explorers and Franciscan friars who discovered San Diego at Mission San Diego de Alcala, the first mission in California (founded in 1769 and relocated to its present site in 1774). Children under 6 are free to tour the little museum (kids 6 to 12 are only $2). 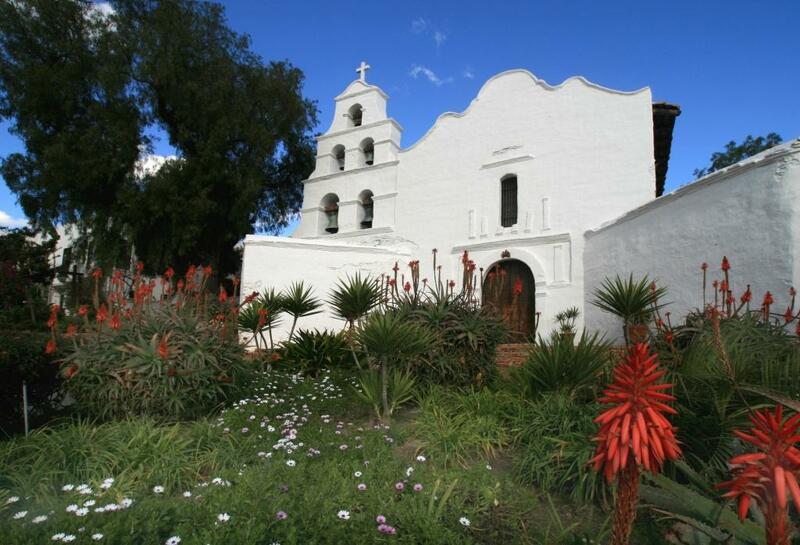 The Mission church and grounds, including a cool excavation site out back, are free for all to explore. Kids under 6 are also free at Junipero Serra Museum on Presidio Hill overlooking Mission Valley and Old Town. 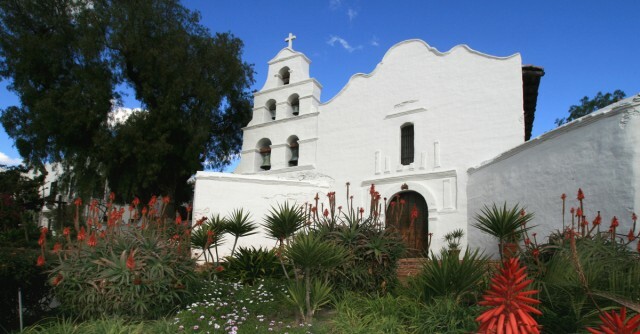 It was here in 1769 that the Spanish friar Junípero Serra and a group of soldiers built California’s first mission and a fort (called “presidio” in Spanish). The original buildings are gone, but an impressive Spanish-style museum sits on the site today. 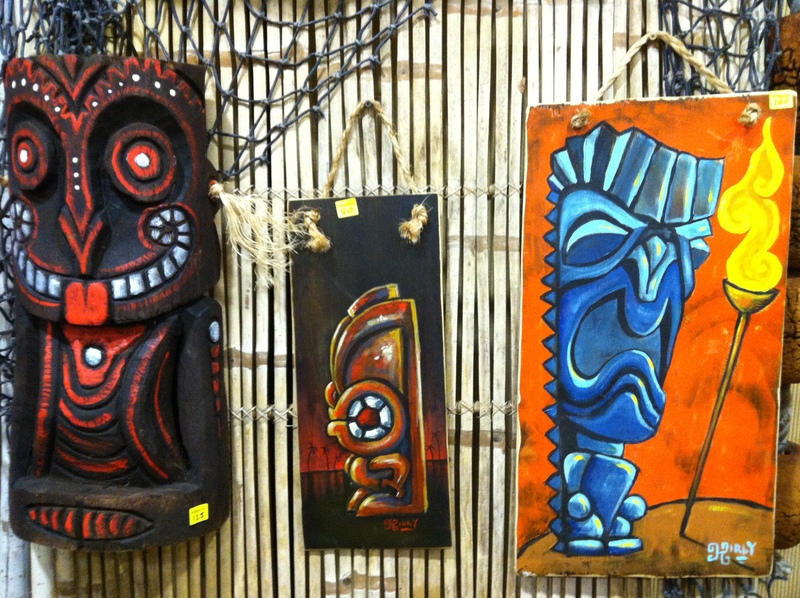 Kids eat free at the tiki-tastic Crowne Plaza Hotel! 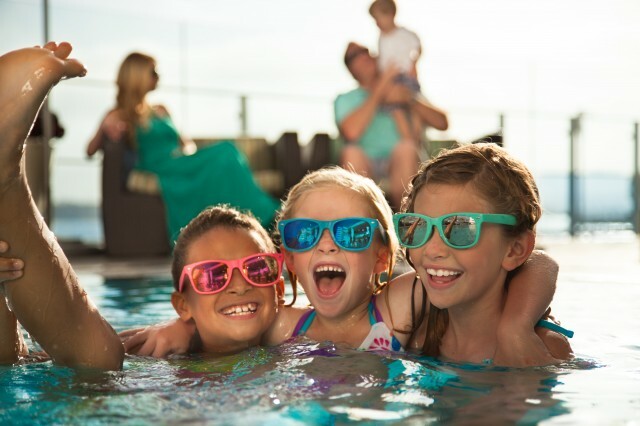 At Doubletree by Hilton-Mission Valley, kids (up to two per room) can choose a free entrée from the children’s menu at the Fountain Café and Windows Lounge. Kids’ breakfasts are free at Ramada Conference Center plus free eats for kids at Sheraton Mission Valley! Upon check in, Comfort Inn & Suites Hotel Circle is giving out a free welcome gift to each kid who checks in. WAY cool! 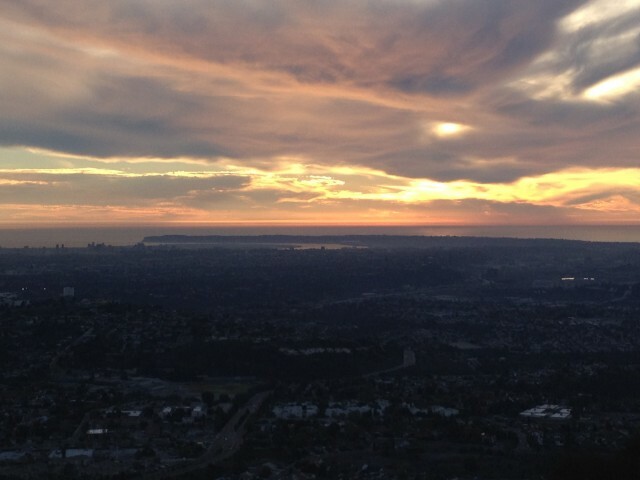 Winter in San Diego? While the rest of the nation is in deep freeze, San Diegans are enjoying 70-degree temps. Ok, so maybe it dips into the 60s some days. It’s still a pretty perfect place for a winter getaway: Crowds are gone – and lodging prices are at their lowest. Imagine sleeping over the surf in one of the 23 white clapboard cottages on historic Crystal Pier in Pacific Beach. Units have fully equipped kitchens and private patios. In summer, 1-bedroom cottages go for $300 a night – and there’s a 3-night minimum. The regular off-season rate is $235, with a 2-night minimum. But, midweek through February, cottages are going for as little as $125 a night, with no minimum stay required. Book by phone at 800-748-5894 – and be soothed to sleep by sounds of surf. Not far away, at The Dana on Mission Bay, where standard rooms typically run $169 in summer, the off-season “Sleep Like a Baby” package has rooms for as little as $89 a night – and the deal includes free parking (an $18 value), free WiFi ($9.95 value) and a daily $20 food and beverage voucher for use at hotel restaurants, the pool bar or room service. There’s a 2-night minimum stay required and the deal must be booked online: www.thedana.com. Full nonrefundable prepayment is due when booking. 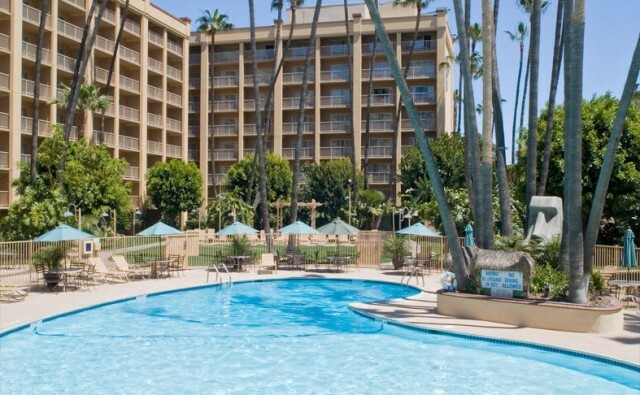 Most of the 20-plus hotels in Mission Valley are offering blockbuster deals through February (except Presidents Weekend). 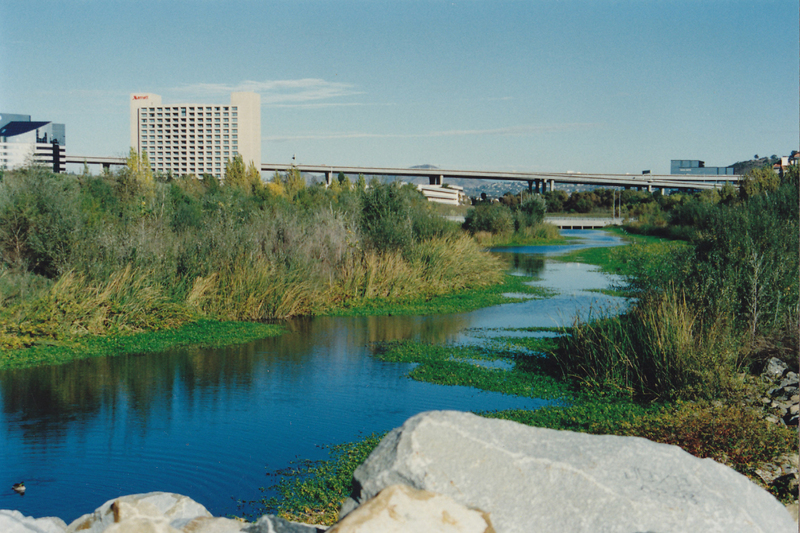 When I checked in late January, I found rates of $50-a-night or less at the Mission Valley Resort, Travelodge and Super 8 on Hotel Circle. Restrictions, such as advance purchase, may apply. Head North to the Best Western Stratford Inn in Del Mar for a $219 deal that includes overnight lodging, two 50-minute massages in the hotel’s new spa (a $180 value), continental breakfast, WiFi, parking and taxes. Along with the new spa, the hotel has two pools and a whirlpool; it’s a short walk to the beach. The deal requires 3-day advance purchase, is nonrefundable and must be booked online: http://best-western-stratford.pacificahost.com/. 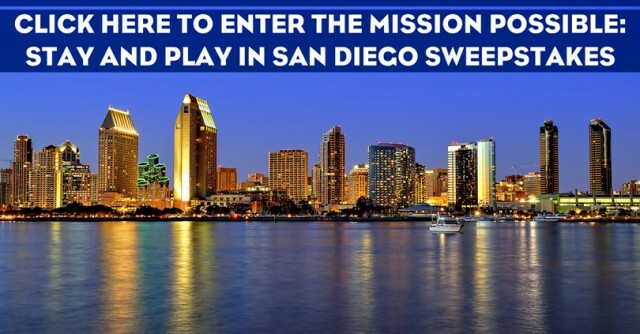 There is, quite simply, no bad time to visit San Diego – but for those hunting for top value, there may not be a better time than right now.